Initially a commercial storyboard artist out of school, Alex Ross was tapped to illustrate a series of Terminatorcomics for Now Comics. His first work for Marvel came just a couple years later with the 1994 miniseries Marvels. 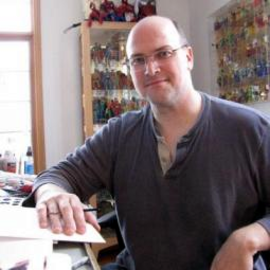 His biggest breakthrough was his work with Kurt Busiek on Astro City. Ross “only” did the covers and the character designs, but his stylings are so influential and powerful that even with other artists handling the inside pages, it feels like he owns the entire project. His best known work might be his DC superheroes comics. He rendered Superman, Wonder Woman, Aquaman and others in a classic, friendly, familiar fashion with outfits straight out of the SuperFriendscartoons but with a much more serious edge. Readers felt like these characters grew and matured in real life as a result.